President Donald Trump took the opportunity during a tax reform roundtable in Cleveland, Ohio, on Saturday to say he was “above Obama,” citing his approval rating from a conservative-leaning poll. “We just had a poll, 51 or 52, which came out, you know, very nicely,” Trump said, referring to a Rasmussen Reports poll on Friday that showed 51 percent of likely U.S. voters approve of his job performance while 49 percent disapprove. “I’m above Obama,” Trump reiterated, drawing claps from the audience. Trump called Rasmussen, which consistently publishes more favorable results toward him than other polls, “one of the more accurate polls for the election” in November 2016. “I mean, I get nothing but bad publicity. I say, how is that possible,” Trump said. 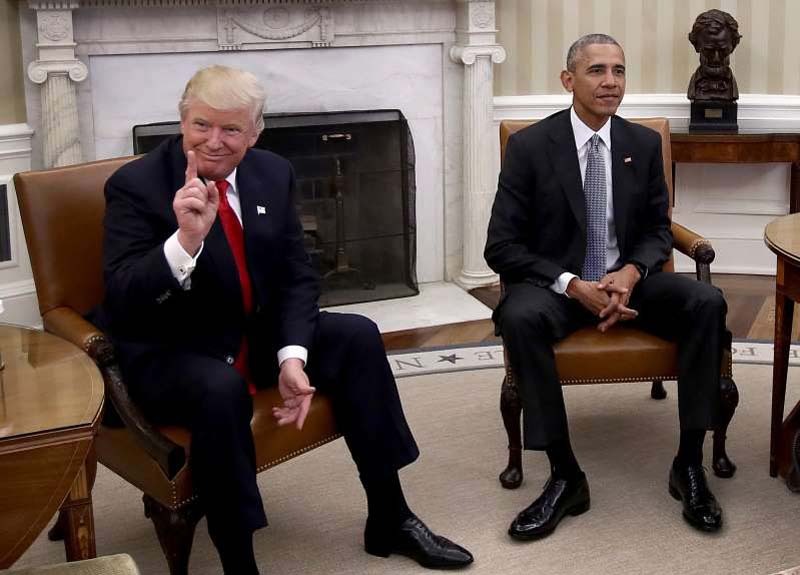 Saturday was just the latest of multiple times that Trump has used a Rasmussen finding to claim he is more popular than his predecessor Barack Obama. In early April, Trump touted a Rasmussen poll that put him at a 50 percent approval rating and ignored three other polls by Gallup, Harvard and Investor’s Business Daily that indicated his approval ratings were between 38 and 44 percent. Trump made a similar claim in March.